November Bride of the month! Its bride of the month time! 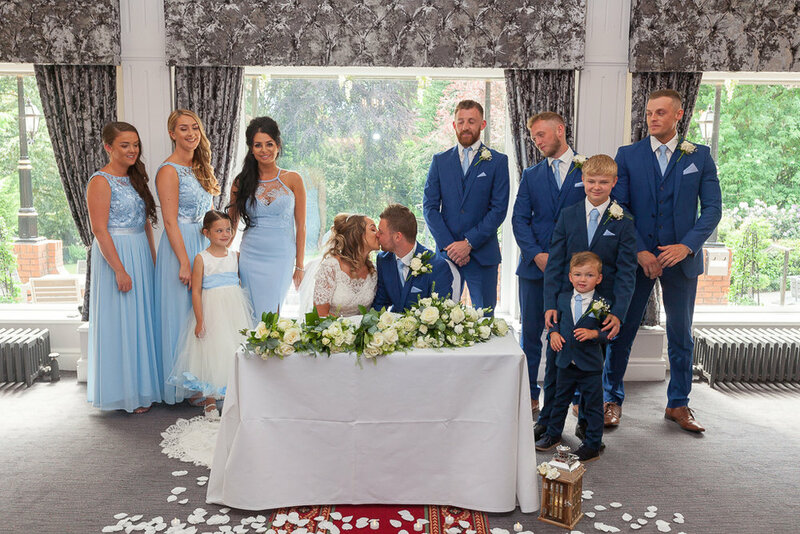 Our stunning Bride, Jenny, sent us some images of her and her new husbands big day, and a little bit about her time with us, here at Cheadle Bride. 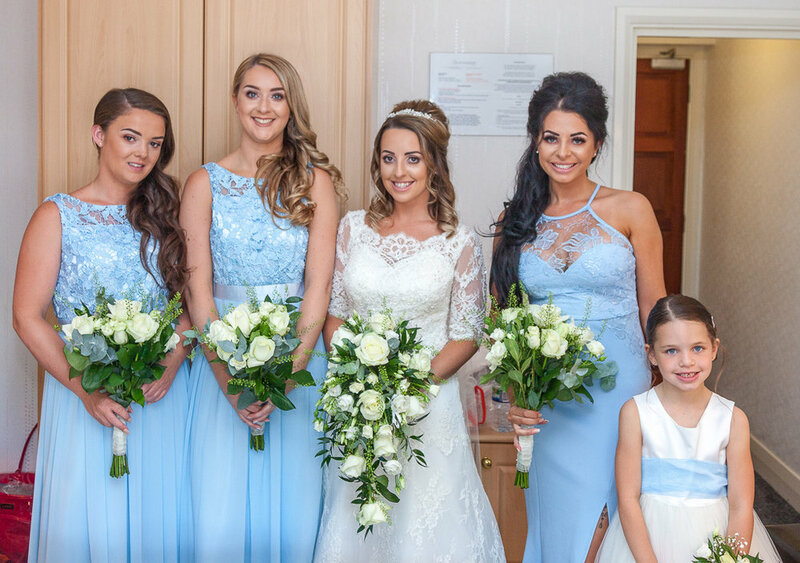 “My experience at Cheadle Bride was amazing right from the off- from my initial contact to arrange an appointment right up until I picked up my dress after steaming. I’d been to another bridal boutique before visiting Cheadle Bride and had also had a good experience there, but it wasn’t anything like the personal, relaxed and friendly experience I had with Cheadle Bride. I knew I wanted quite a simple dress. I didn’t want anything too heavy or too fussy as I’m not someone who wears dresses loads and I wanted to feel comfortable. We were having two wedding ceremony’s - a Hindu one and a civil ceremony and I wanted a dress for the civil ceremony that would look good next to colourful sarees. I initially got in touch with Cheadle Bride because I had seen a beautiful dress on their website which was everything I thought that I wanted. However, at my initial appointment, I tried a few dresses on, including the one I had seen on the website. The dresses were all beautiful but I just felt that they weren’t really ‘me’ and the one I had seen online just didn’t feel how I thought it would. The assistant suggested having a look at the sample sale rail. I tried one of the sample dresses on (even though I wasn't convinced it would suit me) and I was so surprised at how much I loved the lace. It was so different to the dress I originally thought I wanted though, so I didn’t want to commit straight away, but went back a few days later with my Mum and was so pleased that the dress was still there. Catrin got us excited about the possibilities of adding a belt and taking it in a bit here and there, and whilst me and Mum were talking about the dress she brought out a tray of tea and biscuits. I didn’t realise at the time, but choosing your wedding dress is a really emotional commitment. Cheadle Bride is a really special place because they understand this. Catrin was really relaxed and friendly, and every member of staff I came into contact with was lovely, there was no pressure and no rush, just lots of good advice. I felt like we were with friends. We took the dress away that day and had a few alterations made by a lady recommended by Cheadle Bride and brought it back to the shop to be steamed the week before the wedding. What beautiful photos of your special day!! Jenny, we wish you and your new hubby lots of luck and love for a bright future together! Thank you for choosing us to share a special memory with! Thinking of getting married in the Winter, but don’t want to be too exposed to the elements? 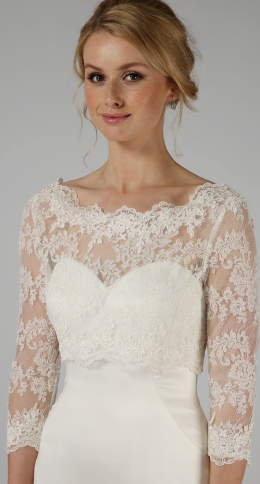 This week we are looking at different dresses, and accessories, to keep the frost off at your winter wedding! Now obviously this wont be for everyone, as a lot of brides don’t care if they’re cold once they’re in the perfect dress! I mean, we all saw Phoebe getting married in her sleeveless, corseted dress, in the snow on Friends! So to kick off, we are starting with sleeves. Granted, lace sleeves aren’t actually that warm, but you could always opt for a Satin sleeve to match HRH’s Meghan and Eugenie! Whether they’re added on to the dress during alterations with the seamstress, a separate bolero, or just part of your gown, sleeves are an obvious, classy choice for your big day! At any time of year! Next up, we have our Fur (or faux fur) shrugs. Our brides love these shrugs, and we find, that they are usually chosen for a Christmas/ New year wedding. There are lots of different styles, from an off the shoulder wrap, to full sleeves! Have you ever thought about wearing a Bridal Cape? Not as new as you’d think to the wedding industry, Bridal Capes can be bought with dresses, or separate from designers. These can be worn in place of a veil, or alongside. Again, not the warmest accessory, but they are stunning! And if none of these are for you.. you can actually get Bridal Jumpers now! Now, i’m a fan of a good fluffy jumper.. but maybe this is that bit too casual for your wedding day!? 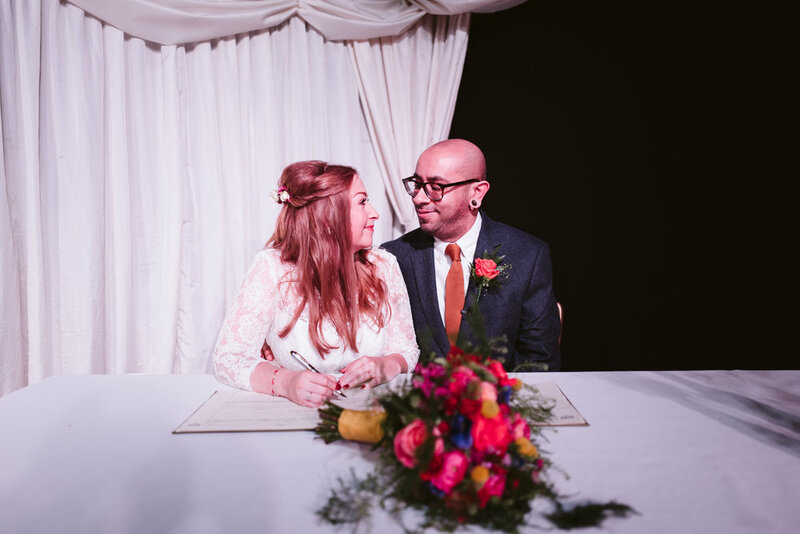 "My time at Cheadle Bride was amazing. It was the first and only bridal shop I attended. The staff were so welcoming right from the start. Even though I had in my head the exact dress I wanted, and that was all I wanted to look for, the staff at Cheadle Bride wanted me to try a selection of different styles on just incase I liked a different style once it was on me. I was torn between two and they were so patient and put them to one side for me and let me go away and think about my decision. When I finally chose my dream dress they recommended a lady to do my alterations. Once my dress was altered it was taken back to Cheadle Bride where they steamed it and had it ready for me. With two days to go, The dress was steamed and ready and I went in to try it on once steamed. It needed tightening a bit more around my back, without hesitation the staff at Cheadle Bride told me not to worry they will sort it that day. It was ready that evening! So panic over the wedding was going ahead in two days and my dream dress was sorted! They were so helpful and so friendly and I couldnt recommend them enough! My wedding day was perfect from start to finish. I had so many compliments on my dress and how perfect the fitting was. So many people mentioned how elegant and classy my dress was!" Thank you once again to the wonderful staff at Cheadle Bride! Your amazing at what you do! We will be having an Essense of Australia Trunk Show, on the weekend of the 22nd September! At Trunk shows, our designers send us samples of their newest collections, so if you like a designer in particular, a trunk show is a great opportunity for you to try on as many different dresses by that designer as you can. Many shops have open days when they have trunk shows, however we still keep our appointments as appointment only- this way we can give each of our brides 100% of our attention and ensure that they get as much information as they can during this special time. So if you are interested in Essense of Australia, then this would be a perfect time for you to book an appointment with us, here at Cheadle Bride. Throughout August, we have taken a further 30% off our sample sale stock! 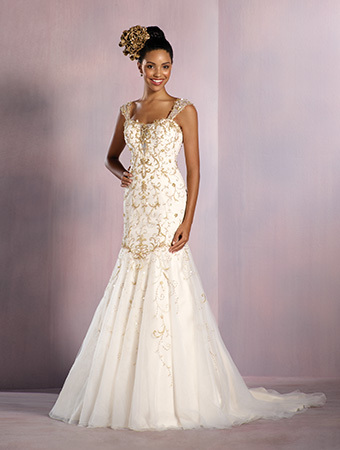 We have some absolutely stunning dresses, that we simply no longer have room for in the boutique! So if you're looking for a bargain, and a beautiful designer wedding dress for your big day then look no further! Below are some of the dresses featured in this sale... there are many more! With gowns from big designers such as, Alfred Angelo, Badgley Mischka, and Enzoani, we can ensure that these are some of the most exquisite sample stock we have ever had, here at Cheadle Bride! Keep your eyes on social media for updates on this amazing sale! !